AFTER THE LOSS OF HER BELOVED HUSBAND Rachel Fielding is picking up the pieces of her life and finding ways to fill the roles he left behind. Rachel steps into her late husband’s shoes as CEO of their private security company. She uses her network of friends to stave off loneliness. But before she is ready for love again… what about romance, and touch? Rachel makes a careful plan to fill these needs too, keeping all of her deepest desires secret and compartmentalized. Ford Ruston isn’t a man from Rachel’s world, nor is he impressed by it. As a former security contractor, Ford is assigned to work with Rachel at the shooting range. He’s not vulnerable to her powers of seduction, and his disinterest only fans the flames of her determination. Rachel can’t see that Ford has his reasons for keeping Rachel at a distance: as dark history that connects them both. While circumstances conspire to bring them together, Rachel finds her attraction to Ford becoming an obsession. He finds he can’t resist her for long. As Rachel works to create a future together, Ford struggles to protect her from a clandestine peril that only he understands. To keep her safe, he will have to keep his distance. To feel whole again, she can’t let him go. In the Twisted Web is a riveting exploration of our over-exposed and interconnected lives in a world in which social media and surveillance cameras track our every move. Caitlin Alexander has never traveled much beyond her hometown of Pendleton, South Carolina. Then a fellowship takes her to London, where she divides her time between the hectic city and the hush of Epping Forest, where she’s studying the “wood wide web”—the complex social network that allows trees to communicate with each other. But, while Caitlin is studying the trees, someone is watching her, someone who seems to know her every move, someone with access to the most intimate parts of her life. As her stalker grows bolder and more violent, she loses faith in everyone around her—her advisor, her best friend, her former lover… No one is above suspicion, and nowhere is safe. 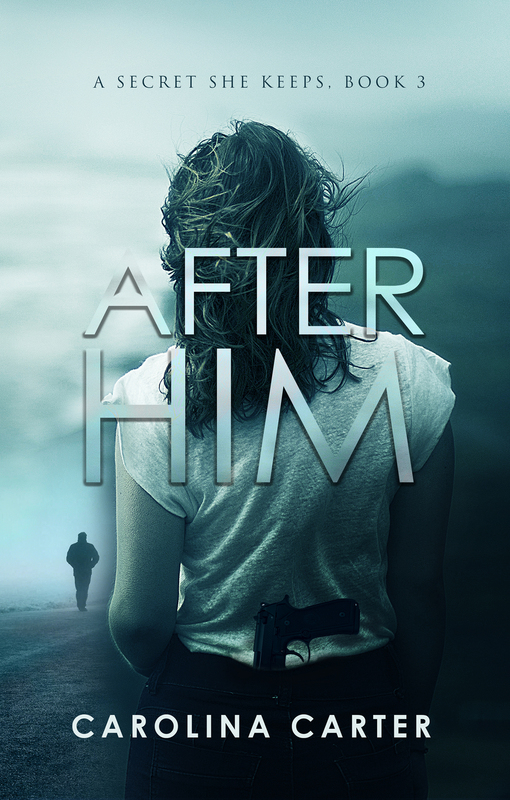 As shocking and psychologically intense as Gillian Flynn’s blockbuster, Gone Girl, Carolina Carter’s second novel is an electrifying thriller that will keep you guessing until the very last page. If you love Jayne Ann Krentz, A.G. Riddle, Iris Johansen, and J.D. Robb, you’re sure to enjoy this chilling journey into the darkest corners of the Internet. Pilot and investigative reporter Nola Mitchell is on the assignment of a lifetime when she stumbles into a story more sensational than anything she’s ever covered. Take the trip of a lifetime with Carolina Carter’s sensational debut. What a page-turner! This cleverly plotted, delightful gem of a book is witty, contemporary, and thoroughly enjoyable. Carolina Carter has a confident voice that will resonate with the modern reader, making Under the Legend impossible to put down. A perfect debut. The story is riveting, exciting, and thought-provoking throughout. It's a wonderful novel that will touch you in unexpected ways as the story unfolds in unpredictable twists and turns. Interested in updates on new and forthcoming releases? Join my email list. Carolina Carter is the nom de plume of Catherine Hooper, who worked with author Laurie Sandell on the book TRUTH AND CONSEQUENCES, optioned for Robert DeNiro’s film The Wizard of Lies. Prior to his passing in 2014, she was the fiancee of Andrew Madoff. She now writes novels of romantic suspense. 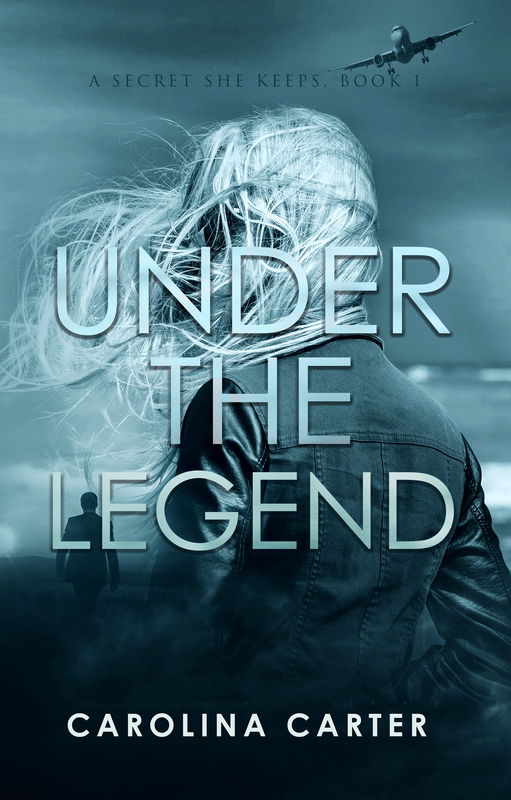 Her first book, UNDER THE LEGEND, debuted in 2016 as the first volume in the SECRET SHE KEEPS series. 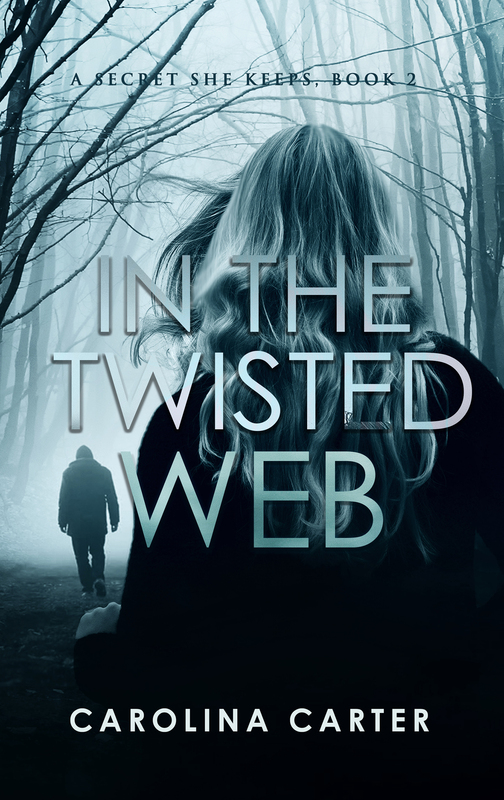 IN THE TWISTED WEB followed later in 2016, and AFTER HIM in 2017. She is the only child of an independent bookstore owner, and spent much of her childhood in the back seat of her mother’s yellow Volkswagen bug, traveling the United States on book-hunting adventures. She lives in New York. WANT TO KEEP UP WITH CAROLINA?